All Posts in "School & Campus"
Thanyapura recently welcomed the Deputy Prime Minister General Tanasak Patimapragorn, Khun Korbkarn Wattanavrangkul Minister of Tourism and Sports, Khun Pongpanu Svetarundra Permanent Secretary of Ministry Of Tourism and Sports and Khun Jamroen Tippayapongtada, Phuket Governor for site visits. 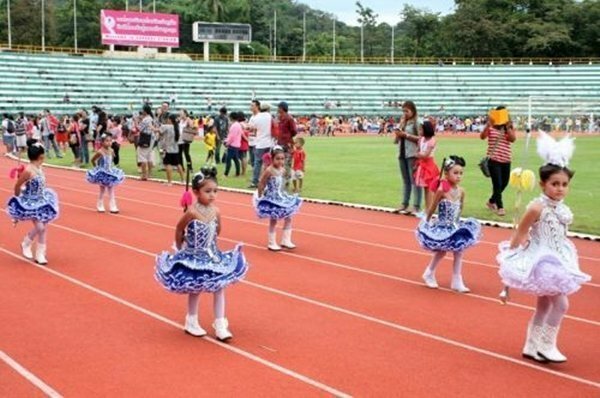 On Wednesday December 17th 2014, Phuket Vice Governor – Suthee Thongyaem hosted the launch of a Phuket Track and Field event which kicked off at Surakul Stadium amidst elaborate fanfares. 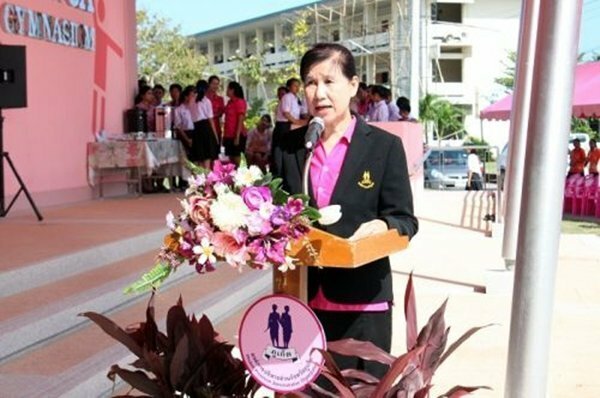 PPAO President Paiboon delivered an opening speech in the ceremonywhich was attended by teachers, school administrators, students, and pupils from local schools as well as dignitaries, the media and the general public. 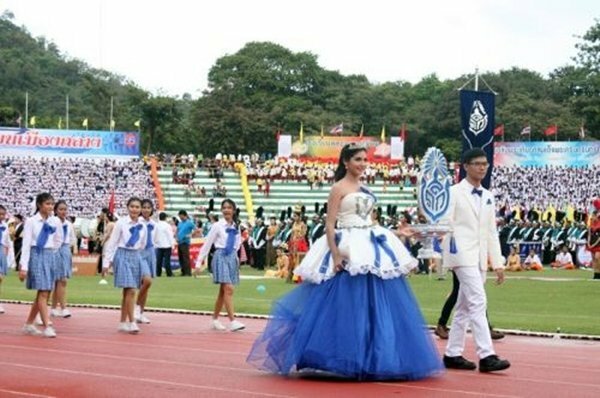 The opening ceremony was accompanied by dazzling parades and displays organized by participating schools and institutions, and a torchbearer. 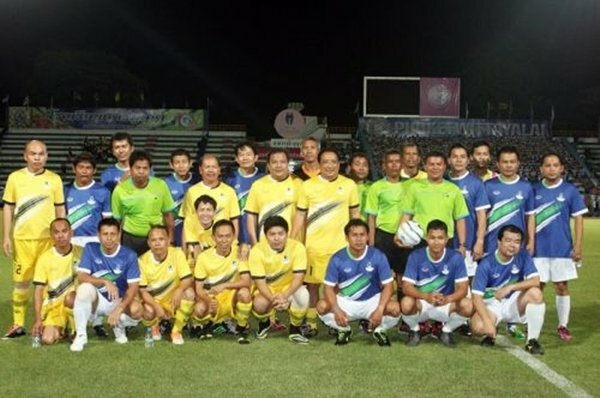 A special football match between a PPAO team and local administrative officers was played after the ceremony, in which PPAO lost to local officer’s team 2-3. 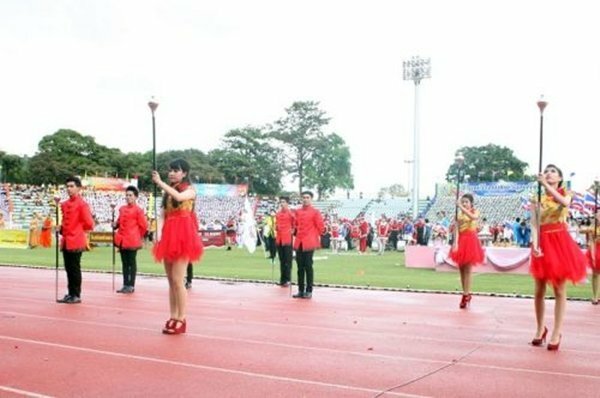 The Phuket Track and Field event, taken part by students and members of the public, is organized by PPAO on a yearly basis. 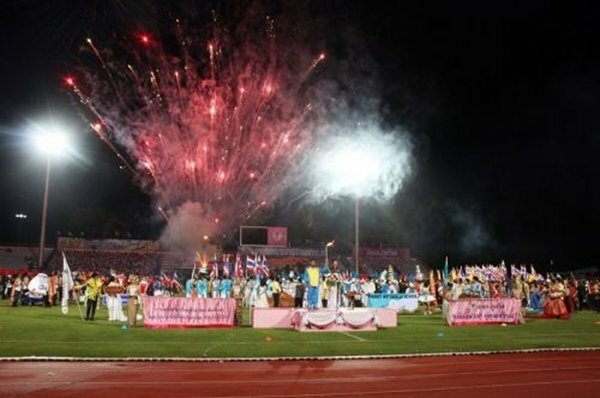 This year’s event, which took place from December 17 – 19 at Surakul Stadium, aims to promote health and fitness among Phuket’s youths and citizens, steer them away from drugs as well as a means to find athletes who will represent Phuket in future, said President Paiboon. Altogether, 32 institutions took part. Entries were divided into eight categories, namely 8, 10, 12, 14, 16, and 18-year-old, as well as a general public category. The total number of athletes was 3,000 who are accompanied by 20,000 supporters making up cheering teams. 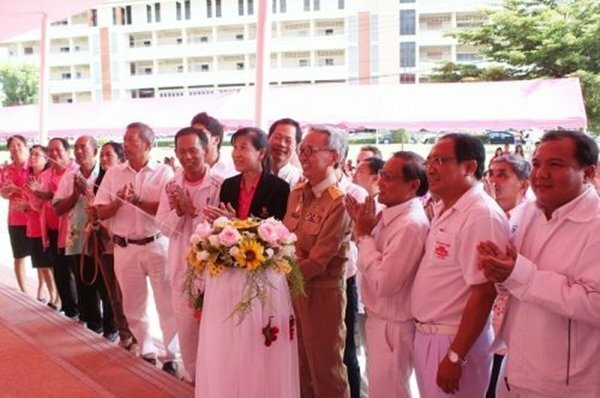 President Paiboon said that the organization has received strong support by local government agencies. Vice Governor Suthee commented on the cooperation and commitment of the organizers, students, teachers and parents. He realizes that PPAO has a strong policy on sports as instrument unifying young people and believes the activities will highlight the schools’ and students’ sports prowess and forge unity among all as well showing the vision of PPAO and in special its head Mr Paiboon. 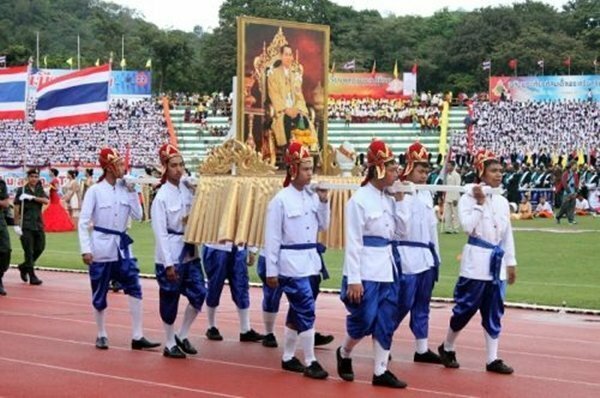 The magnificent parades also show strength of Phuket youths who dazzled the spectators with their shows. Mr Suthee ended by thanking all concerned. 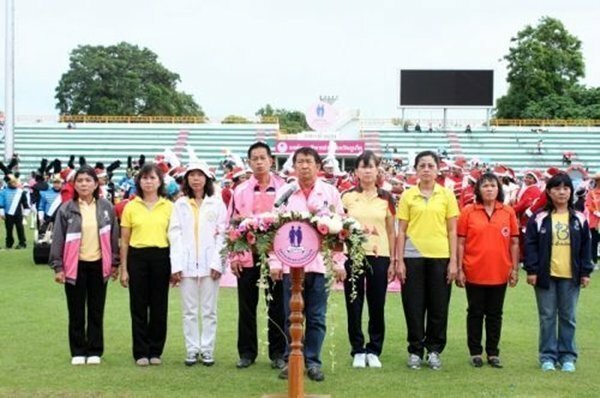 On Sunday December 14th 2014, PPAO Council Chairman Theera Jiasakul presided over the opening ceremony of the fourth Anuban Games 2014 at Surakul Stadium, Phuket Town. 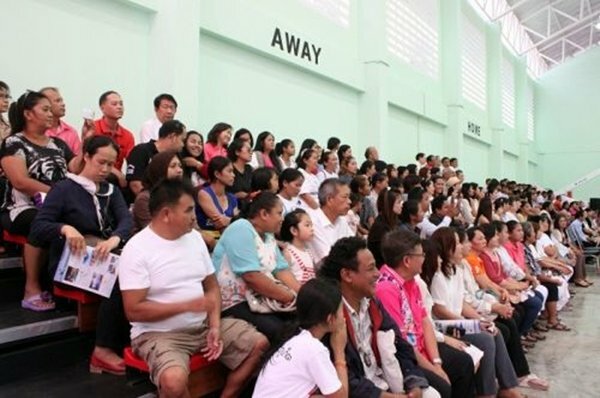 The ceremony was attended by PPAO officials, organizing committee, Head of Phuket Tourism and Sports Office – Santi Pawai, as well as school administrators, teachers, pupil-athletes and parents. The Anuban Games, a track and field event, aims to promote sports excellence and team spirit among kindergarten-level pupils. Entries are divided into two categories – under five and under six-year-old boys and girls. As part of the games, there are competitions and prizes given to outstanding school parade and cheering teams. Altogether, twenty schools are taking part in the games, with a total number of 3,000 participants. Realizing that youths will play a key role in the development of the nation and maintaining a peaceful society, PPAO regularly promotes health of fitness of young people and children. 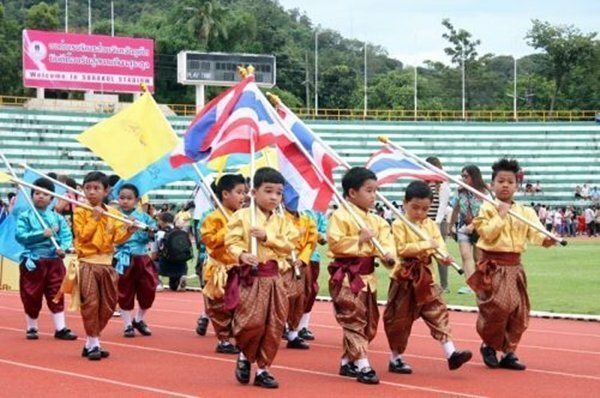 To this end, kindergarten level sports activities are organized to promote unity and forge a strong inter-personal relationship as well as providing opportunities for sports prodigy to emerge and to represent Phuket in the future, said Council Chairman Theera Jiasakul who ended by thanking all concerned. 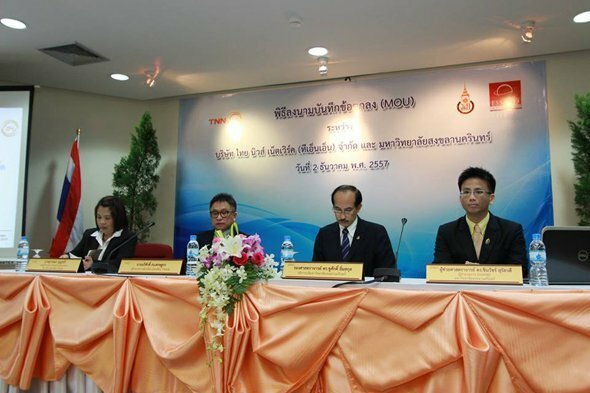 On 2nd December 2014, Dr. Choosak Limsakul – Chancellor for Prince of Songkla University, Phuket Campus presided over the signing of an MoU between the Interdisciplinary Graduate School of Earth System Science, Andaman Natural Disaster Management (ESSAND) and TNN24 to agree for production of a “TNN Weather” TV program which will feature weather reports and data which has been produced using computer models and algorithms developed by Dr. Chinnawat Surassavadee – Director of ESSAND. 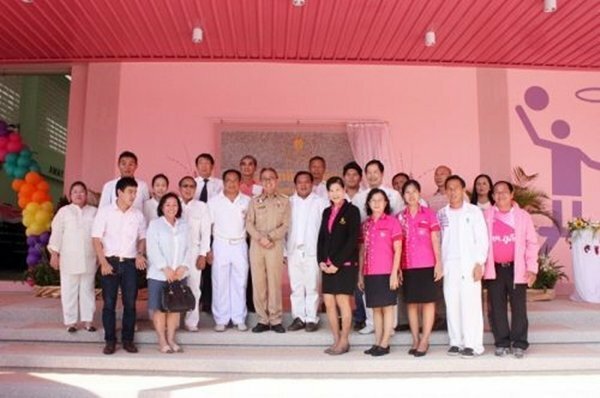 On Thursday November 27th 2014 a team of government officials, including members of Phuket Provincial Administration Office welcomed an assessment committee from the Royal Patronage Pre-school Scheme, at Sathit Ruam Wittaya School in Tambon Rassada, Amphoe Muang, Phuket. 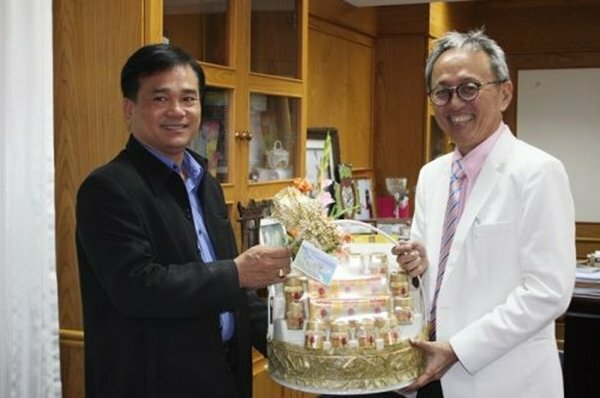 PPAO President Advisor – Boonserm Suwannarathphoom was accompanied by PPAO Council Members – Prasit Sinsaowapak and Chusak Sematrakul, Director of Religion and Culture Education Division – Ouiporn Sakultan. 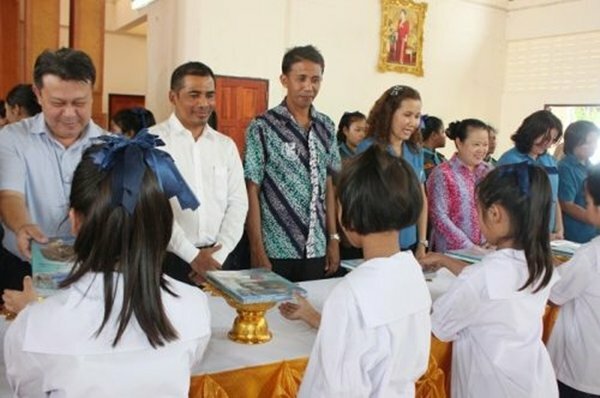 Also joining the welcoming team were School Director – Jansuwan Tampanon, School Committee, teachers, pupils, parents and guests. Welcoming the assessment committee, Mr Boonserm explained that education is at the top priority of PPAO works. The organization continually supports education programs of all shapes and forms with the aims to provide quality schools and institutions that will in turn produce outstanding and ethical students. He added that primary education is especially important as it forms the basis of future development of young people. 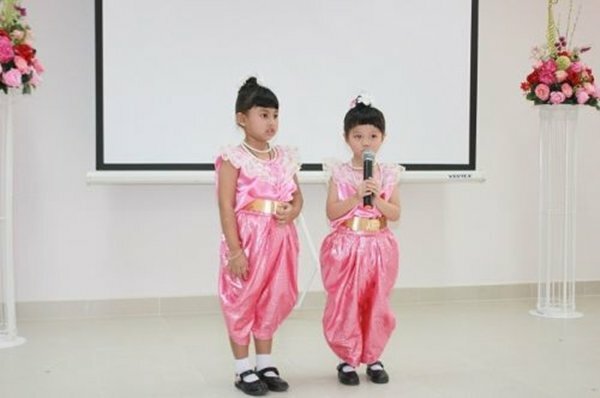 Realizing this significance, PPAO has put forward Sathit Ruam Wittaya School to be a model pre-school, a proposal that is agreed upon by the school administrators, teachers, parents and the community. Under its excellent management and judging from its yearly intake, the school has become a successful institution in its own right. While thanking all and welcoming the assessment committee, Mr Boonserm said both the school and PPAO welcome suggestions and comments the committee may have to offer. Welcoming the committee, the school director Mrs Jansuwan explained that Sathit Ruam Wittaya School is one of the PPAO’s schools. It has the opportunity to welcome the assessment committee for the third time. The school has 13 teachers, one office administrator, two finance administrators, one janitor, two security guards, two housekeepers, and one executive. Altogether, 20 personnel form the school team. 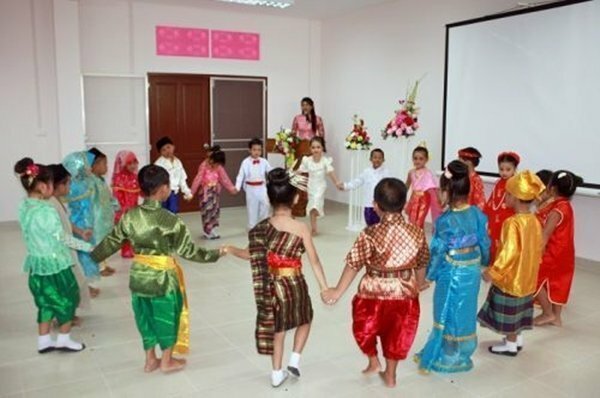 At its core, the school has developed a program to educate children in four areas, namely physical, emotional, social and intellectual through “Project Approach” activities and games that offer freedom while respecting local wisdom and heritage. The school also adopts a natural approach in teaching English to its pupils. Its educational programs are acknowledged by the community, parents and local administrative offices alike. The school would welcome any suggestions and proposals made by the assessment committee, said Mrs Jansuwan. 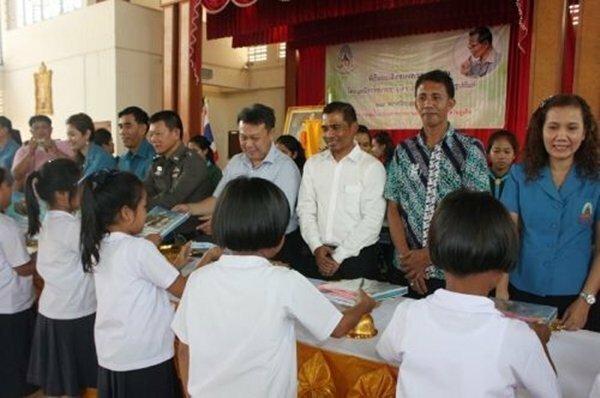 On Thursday November 27th 2014, Phuket Provincial Administration Office Vice President – Soratham Jinda and Council Member – Sonthaya Suntharak took part in the distribution of royal gifts to pupils of Kamala’s Racha Pracha Nukroh 36 School. 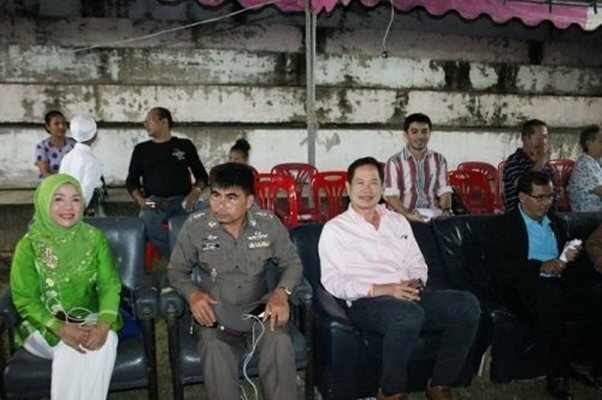 The event was chaired by Phuket Vice Governor – Somkiat Sangkhaosuthirak and attended by Kathu District Officer – Sayan Chanachaiwong as well as the School Director – Wiwan Sukamano. 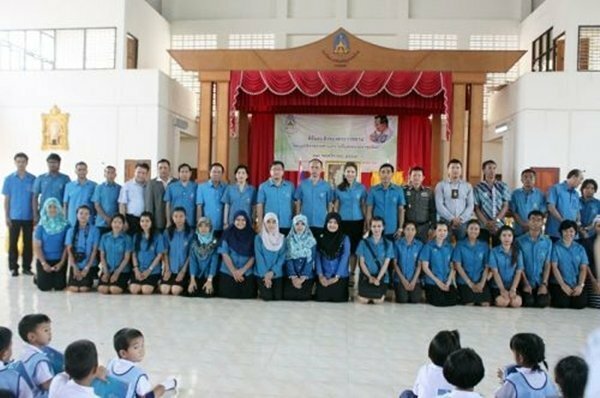 In his speech, Mr Somkiat said that each year the Racha Pracha Nukroh Foundation under the Royal Patronage graciously offers gifts to the pupils of Racha Pracha Nukroh 36 School. This year, all pupils received school uniforms and school materials while the school received equipment, building and funding for its kitchen garden and livestock project. 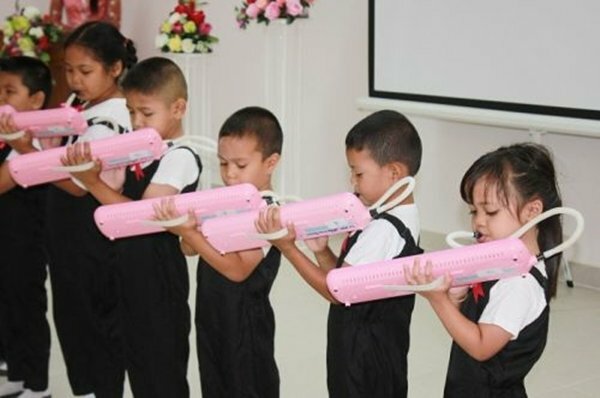 The Racha Pracha Nukroh 36 School was established with the support of the Foundation to provide education for orphans of the tsunami 2004. However, up to this date His Majesty still continues to provide support to the school and its pupils. 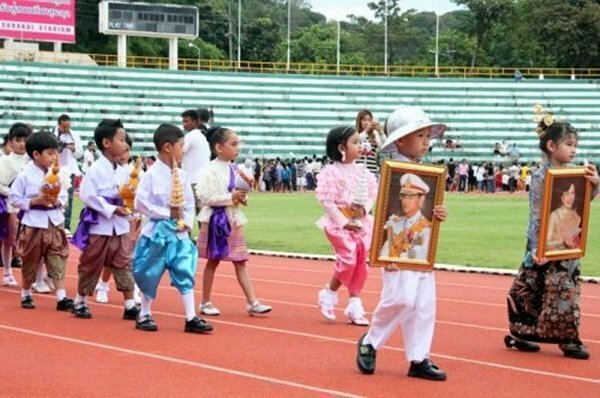 The Vice Government urged all students to be appreciative of the King and strive to achieve excellence and become good citizens of society and the nation. 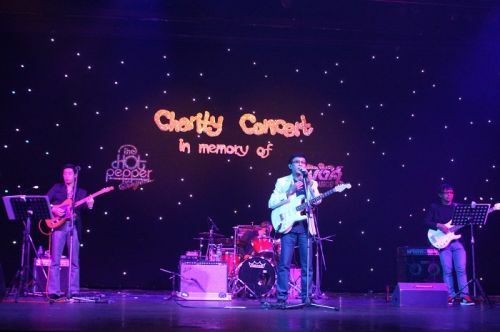 Phuket Provincial Administration Office President Advisor – Samanasak Rattanasaenyanupap together with officials and staff of PPAO, were among spectators of a charity concert entitled “Charity Concert in Memory Pink Panther and Hot Pepper” which was held on the evening of Saturday November 8th 2014 at Aphrodite Theatre. 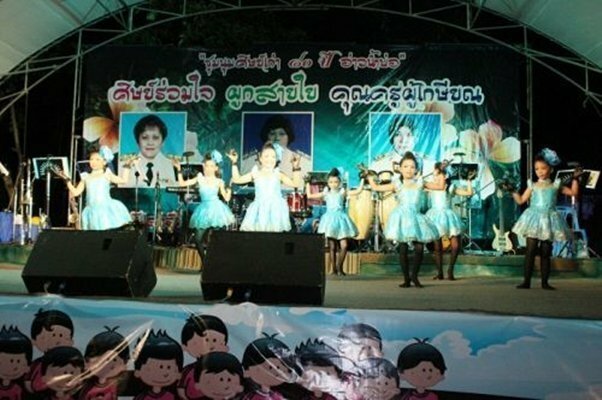 The concert was organized by Ban Mai Riap School Parent Association to raise funds to support the school’s teaching and learning programs. In his capacity as Chief Executive of PIA, Julian will have overall responsibility to the Board, especially for the strategic development of the school. He will work closely with Riki Teteina, who as Head will have day-to-day responsibility for the operations of the school, Peter O’Sullivan in his capacity as the Primary Principal and the school Business Manager, Daniel Magie, the Secondary Principal and Krysten Fort-Catanese, the Director of Social Emotional Learning & Mindfulness. “The members of the PIA School Board are very happy with the progress the school has made over recent years under their leadership,” added Mr. Graf von Hardenberg. Julian has worked in a variety of schools in Europe, South America and Asia. Most recently, and significantly, he was the Head and CEO of the United World College of South East Asia (UWCSEA), Singapore, which is widely acknowledged as being amongst the top ten international schools in the world. During his nine years at UWCSEA the school doubled in size to become the largest international school in the world with 5,300 students. He obtained his teaching qualification at Cambridge University and a Masters Degree in Business Administration from Nottingham University. In addition to his extensive experience of leading schools, he has served on the Board of the East Asia Regional Council of Schools, was a member of the International Baccalaureate Heads Council and the United World Colleges Council. Julian is highly regarded in the world of international education and PIA is delighted that it has been able to attract someone of his quality to join the school’s leadership team. Julian has committed his long-term future to PIA and Thanyapura. He will start work at the school at the beginning of the second half of term on Monday 27th October. “I am excited at the opportunity to work at Phuket International Academy. I have known of the school for some time and am totally aligned with the school’s mission and philosophy of education. I am very much looking forward to working with such high quality staff, engaged students and supportive parents as we continue PIA’s development into a world-class school,” said Mr. Whiteley. 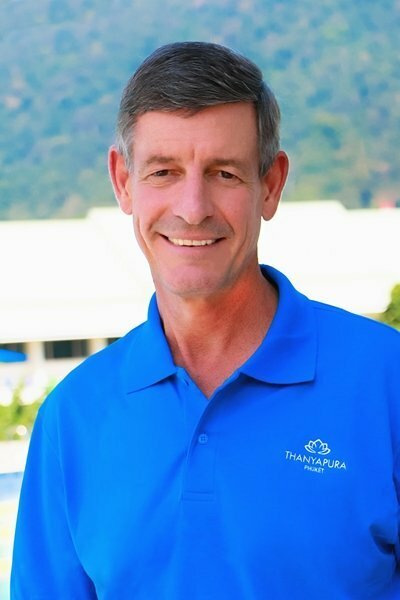 The leadership team of Thanyapura is very proud to appoint Julian as Director of Education for Thanyapura. Thanyapura, a 23-hectare luxury sports, health and lifestyle resort in Phuket, Thailand, places much importance on high quality training, coaching and education as an integral part of fulfilling its promise to its customers – ‘Optimize your potential’. “Such has been the school’s success, I am proud to announce that the UWC (United World College) International Board has considered PIA’s application to become the UWC in Thailand. To quote from the letter we received from Keith Clark, the Executive Director of UWC, in September: ‘On the basis of its discussion, the board agreed to grant the proposal to develop a UWC school or college in Phuket the status of Initial Notification…’ It is our aspiration to secure full approval to become a UWC within the next 18 months,” said Mr. Graf von Hardenberg. The new director of the Phuket Technical College – Adisak Chatchawes met with PPAO Chief Executive Paiboon Upattising on Tuesday October 7th 2014 to introduce himself and discuss business affairs. Mr Adisak said that the College continually receives financial support from PPAO. The college offers vocational trainings which are in line with present employment demand while instilling students with a sense of community and public service. The college now offers additional courses in industrial training which include: auto mechanics, welding, electronics, IT and architectural drawing. Parents can enrol their children now for a new term starting March 2015. 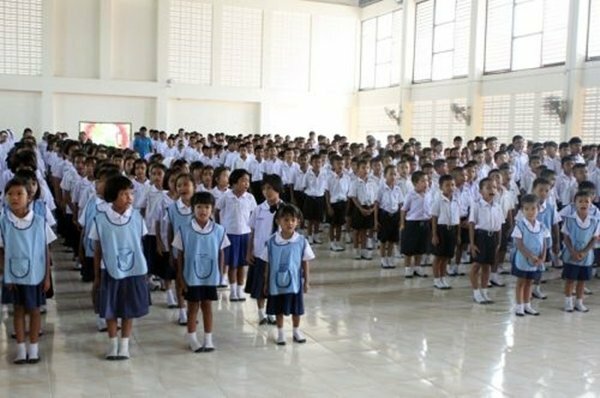 A new gymnasium at the PPAO Ban Talard Neu School was unveiled on September 26th 2014 at a ceremony presided over by PPAO Chief Executive – Paiboon Upattising. Also present at the ceremony was a team of PPAO officials including Deputy Chief Executive – Chaowalit Na Nakorn, Advisor to Chief Executive – Boonserm Suwannarathphoom, Council Chairman – Pradit Saengchan, Council members and division heads. 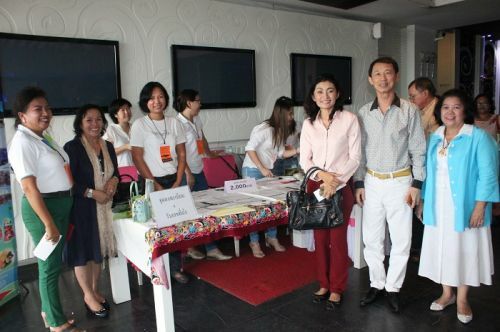 Representatives from the school included principle Pachanee Kanwilaikul, administrators, teachers, parents, students, and guests. The unveiling ceremony was followed by stage entertainment performed by the students, a futsal match between PPAO Council members and Ban Talard Neu teachers, with the PPAO team winning 6-5. 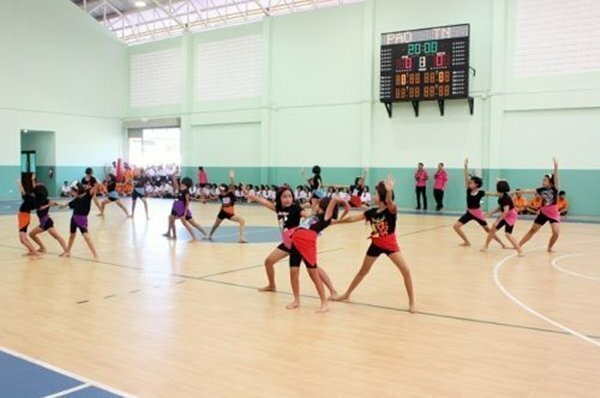 PPAO Ban Talard Neu School received a grant of 9,937,000 baht from PPAO under its 2012 fiscal year budget for the construction of the gymnasium. 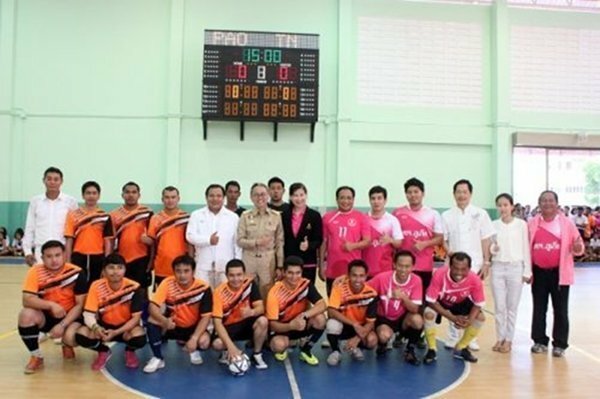 Later, under the 2013 fiscal year budget, PPAO granted another 4,800,000 baht to decorate and equip the sport hall. 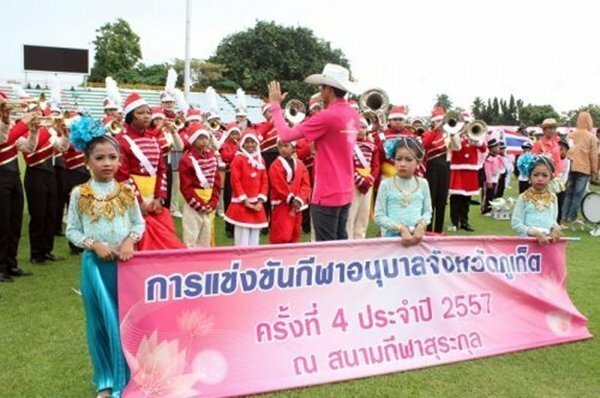 The total of fund received was 14,778,000 baht. The gymnasium is intended for teaching physical education and will be an exercise space for both students and school. With the help of this facility, the school hopes that students will use their free time creatively to train and raising sports excellence. The gymnasium is equipped with three types of courts suitable for futsal, volleyball and basketball. In his speech, Mr Paiboon thanked the PPAO Council for having granted the budget and supporting educational programs which is appreciated by the school administrators, teachers, parents and students alike. He also thanked the school administrators for working hard to bring success to both the school and students. 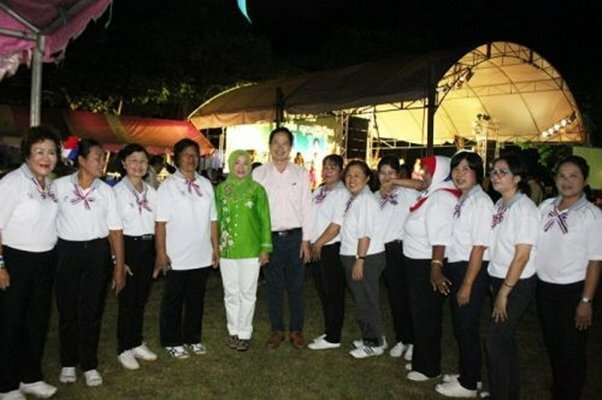 On Saturday September 13th 2014, PPAO Council Members Theera Jiasakul and Nuanchan Samart took part in a gathering of alumni of the 80-year-old Ao Nam Bo School in Tambon Wichit, Amphoe Muang Phuket. Along with showing their appreciation to the school and teachers, the alumni gathering also honoured three of the school’s teachers – Yuwadee Plabsing, Supranee Praprk and Prapa Piman – who are retiring in September this year. The event also raised funds to purchase new computer equipment for the school.